Saving the environment is something we’re all aware of. We do it every day when we recycle our waste or when we bring a reusable bag to shops but what other little things can we do at home to save the environment? Changing your home’s lights to energy efficient bulbs will lower your energy consumption. This means lower household bills for you and you’ll be doing your bit for the environment. You should also make sure you switch your PC and TV off completely rather than leaving them on stand-by all night as this wastes power unnecessarily. Washing in warm water rather than scolding hot water saves energy so reduce the heat when you run the washing machine. Afterwards, hang your clothes to dry rather than wasting energy using the tumble drier. When you load your dishwasher, don’t rinse the plates and you’ll also save water. When you shower you consume way less water than you do when you run a bath but you can still save water by making the shower a little quicker. Sneaking into the shower with your loved one can also save water as long as you don’t linger in their together! 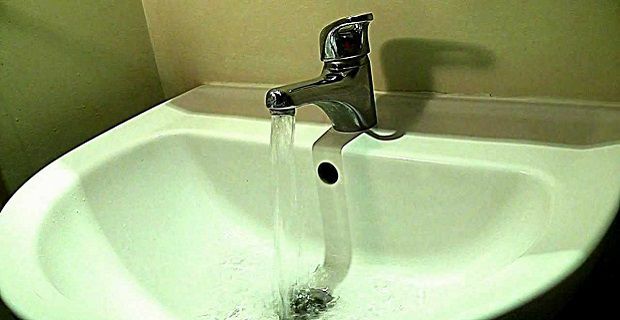 The other thing that routinely wastes water is running the tap while brushing your teeth. Just open the tap when you need to wash off the toothbrush and you’ll save loads of water. You can also make a positive change to your impact on the world with what you eat. Why not make a vegetarian meal part of your family’s weekly diet? It takes 2,500 gallons of water to produce a pound of beef so water is saved when less meat’s consumed. It’s the same for forest space as approximately 55 square feet of forest is destroyed to bring you a hamburger. Buying a more fuel efficient car is another way of helping to lower your carbon emissions.